We all yearn for catharsis. There’s hardly another feeling in the world that can compete with the sense of tranquility that comes after a wrong is finally made right and the soothing calm that washes over when “I’m sorry” is met with gracious acceptance and understanding. This isn’t just true of our personal lives; this desire for reconciliation is also represented in our entertainment by the prevalence of the “happy ending” in the stories that we tell. No matter how unlikely a positive outcome may be, there remains an undying optimism that everyone will just manage to get along in the end. The title character of the new film Krisha, the feature debut of Trey Edward Shults, seeks this kind of redemption in her own life. After becoming progressively estranged from her ever-expanding family, she eyes a chance at getting back into their good graces by offering to prepare the turkey for the family Thanksgiving celebration. Upon her arrival, she is greeted with a mixture of enthusiasm and wariness by each of the members of the family but as the day goes on, old resentments begin to bubble up from beneath the surface and Krisha’s plan to re-enter the family circle seems to slowly slip away from her grasp. All of this plays out in ways that even the most seasoned movie-goer may not expect, with levels of subtlety and nuance that are ripe for inference and personal interpretation. Since very little is spelled out up front about these characters and their personal history, we have to read between the lines of their interactions with one another and suss out what’s really going on for ourselves. Even when their connections do become more overt over time, there’s always plenty of new information to take in and layers of emotional honesty to contend with. The genius of first-time director Trey Edward Shults, who also wrote, edited and also stars in Krisha, is brutally apparent from first frame to last. It’s hard to say exactly how much of this material is autobiographical but it’s enough to say that Shults presents a caliber of naked authenticity here that is nothing short of astonishing. From the unnerving glitchy pace of the musical score to the deftly lyrical movements in the camerawork, he also proves that he has the perfect set of creative impulses that will no doubt earn him more opportunities to shine in the future. Similarly doing a brilliant first job in what seems to be her acting debut (in fact, almost all of the actors are first-timers as well) is Krisha Fairchild, during which she somehow condenses years of sorrow and loneliness into 90 minutes of carefully controlled chaos. Her chilling portrait of an addict may be as unflinching and heartbreaking as any that I’ve seen since Ellen Burstyn’s Sara Goldfarb in Requiem for a Dream. 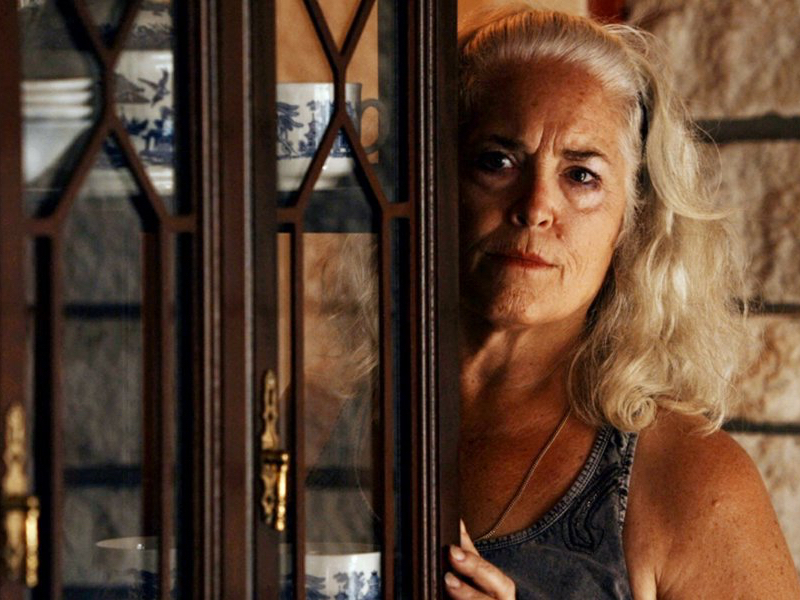 Both characters strive for a similar kind of familial re-connection but whether Krisha receives the same kind of happy end as Sara is best left for audiences to discover for themselves.